Ife’s Gift (drama) movie about Alzheimer’s disease. Kick it Like Ronaldo (animated sport movie). Ultima Force – animated American action series. USA. Pinaki is the founder of Power Media and Entertainment Group that operates several important websites including the world’s leading writing service Writer4me.com, www.comic-book-artists.com, leading comicbook art service, and www.Power-Publishers.com; leading self publishing company. Pinaki’s team of writers and artists are highly acclaimed worldwide. Pinaki is a trusted name when it comes to writing screenplays; from thrillers to horror; from romance to comedy. Being an Indian screenplay writer he has written for both American as well as Indian filmmakers and can adapt to both the styles, or amalgamate the two styles. 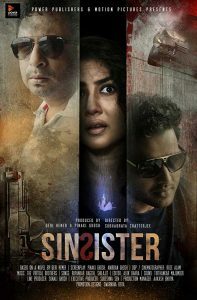 Pinaki has excelled in Hindi script writing and Bengali script writing, who can create suspense and jaw dropping wonder that viewers have never seen on screen before. The best part is that even with a huge experience, he is extremely affordable. Pinaki Ghosh has authored 12 books, including bestsellers, besides writing (and ghostwriting) a large number of ebooks. Pinaki wrote his first bestseller in 1991 at the age of 17. Pinaki has worked as a ghostwriter and biographer for several high profile celebrities worldwide. 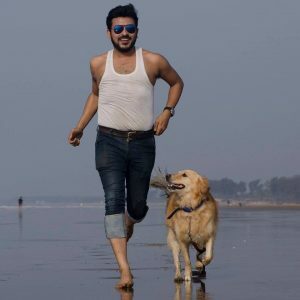 Besides celebrities, Pinaki has worked with some of the best media brands like BBC (Desi DNA, Calcutta Uncovered, 2007), National Geographic Channel (Is It Real? Superhuman Powers, 2005), Channel 4 (Gurubusters, 1995) and ABP Ltd (Sananda, Unish Kuri) to name just a few. Pinaki writes a select number of screenplays and books every year, and most of them turn out to be businesswise successful. Book him today, Before his schedule gets full. Screenplay writing: $40 per page | Rs. 1,800 per page. $2,500 (Rs. 150,000) for full length 2 hours feature films; original or adapted. Payable in 3 installments at various stages of progress. $3,500 (Rs 200,000) for full length 2:30 hours and lengthier feature films. $25 (Rs.1,200) per minute of the film. $800 (Rs. 30,000) for each episode. $20 per page for partial rewriting and total enhancement. $200 (Rs. 12,000) for screenplay coverage, suggestions and complete feedback for improvement.